Grand Opening of our New Day Center! Special Parking Available! Please join us on Thursday, April 27, 2017, for the GRAND OPENING of our new Family Promise Day Center! 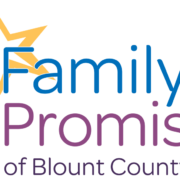 Thanks to the amazing community support here in Blount County, we will have a new central center that will allow us to serve our families, expand our programs, and continue to end family homelessness! There will be family fun, live music, refreshments, and much more! SPECIAL PARKING: Thanks to the kind folks at Oak Street Baptist Church, we have overflow parking and SHUTTLE service available at their location at 216 Oakdale! We will also have parking available at the former Pellissippi State campus, and Maryville City Police will provide traffic control and assistance crossing the street. NOTE: We will NOT have a banquet this year, and we encourage everyone to join us for this amazing celebration! From Walmart in Alcoa: Travel to the end of the road near Lowe’s. Turn left onto Middlesettlements Road. You will see the white church (our new day center!) on the right. Turn right onto the gravel road and follow it to our celebration! From Hwy 129 (Alcoa Highway) in Maryville: Travel Hwy 129 N. Turn left onto Foch Street. Turn right onto Oakdale, then left onto Harrisdale. At the next stop sign, turn right onto Pinedale, then travel to the end of the road where you will see the large white church that is our new day center!